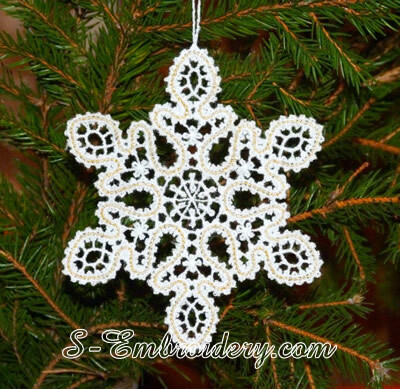 A delicate snowflake Christmas ornament in Battenburg free standing lace. 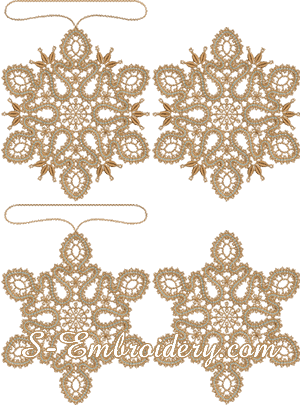 This machine embroidery design is offered in 2 versions and each version is available both with and without a loop for hanging. 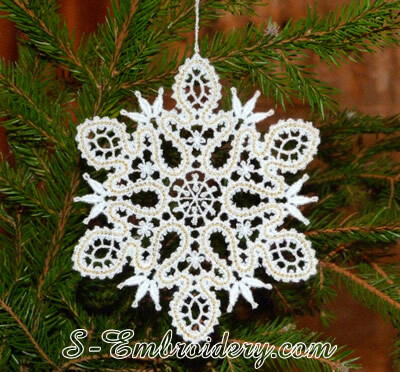 So, that you could create Christmas tree ornaments or use the freestanding lace ornaments to decorate your custom Christmas greeting cards. 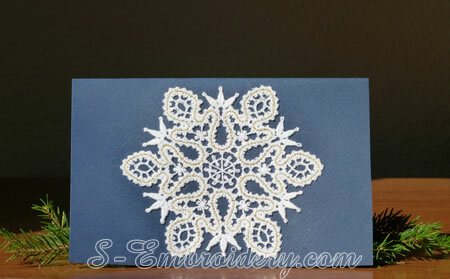 You receive 4 machine embroidery files and PDF with design information. 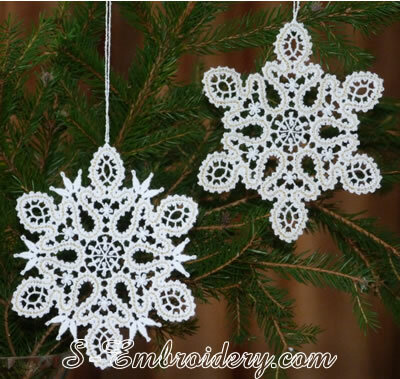 The PDF also contains instructions on stitching out freestanding lace ornaments.